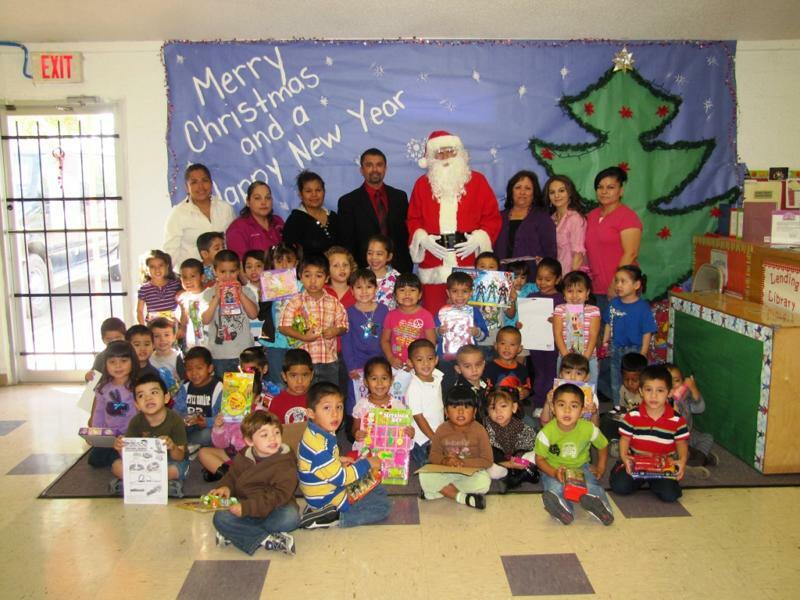 Grulla Middle School delivered presents on December 16th, 2010 to several Headstart Centers in Starr County. GMS principal, Mr. Trillayes, Asst. 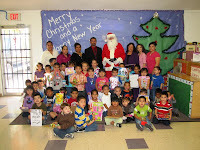 Principal Ariel Ozuna, and teacher Mr. Sandor Lopez made a surprise the students at the different centers. Mr. Ozuna was Santa Clause for the day, while Mr. Trillayes read a story to all the kids, Mr. Lopez helped with taking pictures and passed out the presents to the kids. They visited the following centers: Grulla Headstart, Alto Bonito Headstart, La Casita Headstart, and Alto Bonito Texas Migrant Council. RGCCISD photo.